It’s been more than a year since the last time I made a WordPress theme. 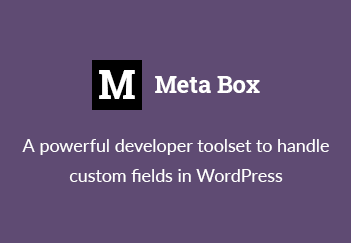 I’ve been so busy with the Meta Box plugin and its extensions that I couldn’t split myself to manage all the theme work. Until 2 months ago, I decided to take a part of my time to focus on the theme business and started working on a blog theme. Today, the theme is released on ThemeForest. It’s call TheM, a minimal and creative WordPress blog theme. As stated in the name, the theme as an unique look and feel and it’s built with minimalism in mind. No redundant elements, no page builders, no revolution slider! Although it’s minimal, it has vast amount of options that help you customize the appearance very easily. There are options for layout, colors, typography, pagination and more. All of them are considered carefully to make the theme lightweight but still powerful to use. I spent 2 months building the theme to make sure it has the highest coding quality as well as powerful customization. To demonstrate the power of the theme, I made 6 demos for many kinds of blogs: creative blog, travel blog, lifestyle blog, food blog, etc. I’m very proud of my work and I hope the theme can help you have a beautiful blog which doesn’t look the same as others. And I hope you like it.